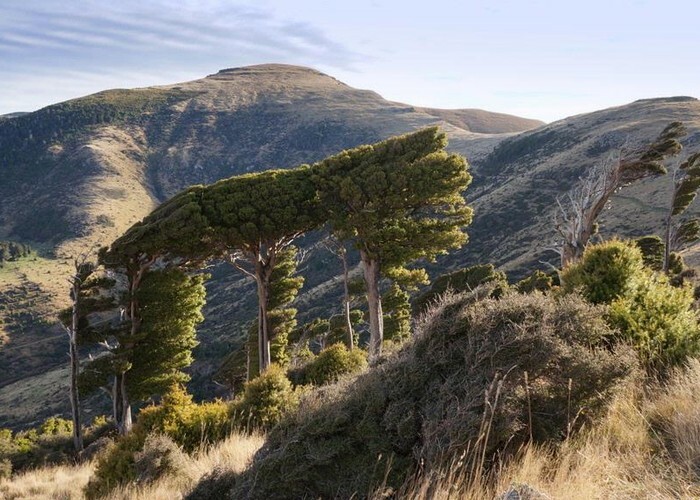 Wind shorn Totara trees beside the ridge track on the way to Mt Herbert - the high point in the distance. Added 8 June 2012 by Hugh vNHugh vN. No revisions.